I wanted to share this release from D23: The Official Disney Fan Club. BURBANK, Calif. – FEBRUARY 13, 2014 – The 1964–65 World’s Fair in New York celebrated a time of optimism, growth, and progress. D23: The Official Disney Fan Club captures all the excitement of this epic event in the Spring issue of its publication, Disney twenty-three. The Fair, which is celebrating its 50th anniversary this year, marked the creation of landmark Disney technology, music, and attractions including it’s a small world, Audio-Animatronics® technology, Great Moments with Mr. Lincoln, and the Carousel of Progress—with its memorable theme song “There’s a Great Big Beautiful Tomorrow.” Disney twenty-three sat down with several Disney Legends responsible for these iconic landmarks including Marty Sklar, Alice Davis, and Bob Gurr. 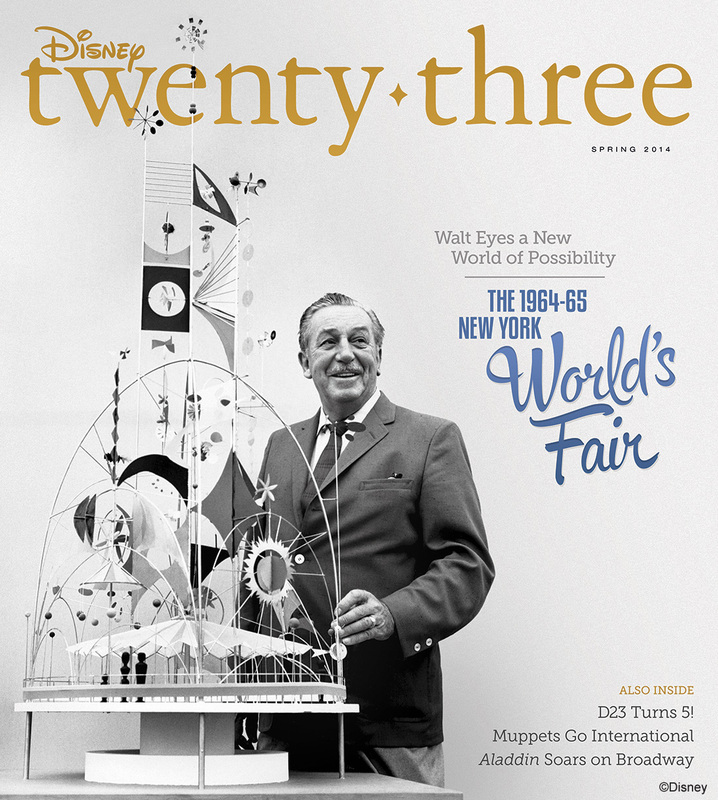 Stunning concept art and rarely seen photography from the Fair complement the stories in this issue, available exclusively to Gold Members of D23.